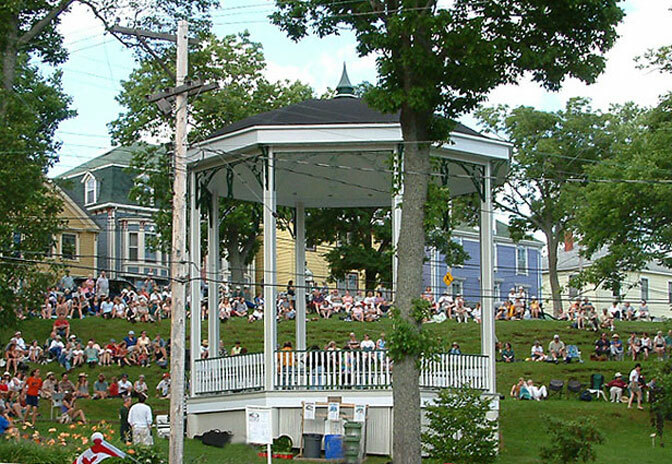 The current bandstand is an exact replica of the original built in 1889 and was rebuilt in 1987 by the Lunenburg Heritage Society. It is located at the junction of Cumberland and King Streets - next to the Town Hall. The Bandstand's Summer Concert Series provide an attraction for visitors and local residents alike. The Bandstand is available for rental for weddings, parties, performances etc., to book contact us!